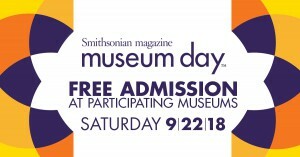 Looking to do something fun for a great cause? Here’s your chance! On Monday, October 12, World Golf Village will kick off the 2015 Play Golf – Fight Cancer® 11th Annual Golf Classic to benefit the UF Health Proton Therapy Institute. This is the first year the tournament comes to WGV and we’re thrilled to welcome golfers and spectators to join in the fun for this important cause. 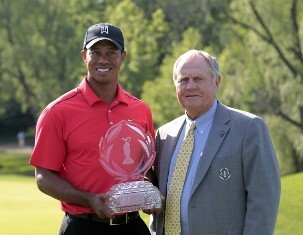 Tiger Woods famously matched Jack Nicklaus’ PGA TOUR all-time win record when he won his 73rd victory at the 2012 Memorial Tournament. Now items from that victory, including the ball Woods used to make his dramatic shot on the 16th hole and the glove he was wearing for his final round 67, are on display at the World Golf Hall of Fame & Museum. 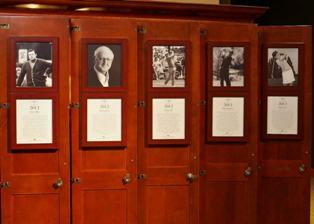 One of our favorite exhibitions at the World Golf Hall of Fame & Museum in World Golf Village is the Member Locker Room where life-size lockers are stocked with actual mementos from Hall of Famers’ lives, often telling little-known stories about their careers and personal lives. What makes the Locker Room so compelling is the same reason the exhibits and lockers of the new 2012 Hall of Fame inductees are worth a visit: the personal mementos that provide an intriguing glimpse into the real worlds of golf’s greatest players and important contributors.